WordPress is one of the most powerful platforms to create a website that you like. As you know, it is easy to use and flexible to adopt changes. 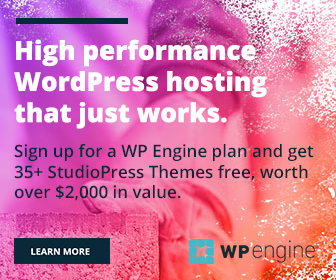 Choose a hosting provider, install WordPress, find and activate a suitable theme, and power up your website with relevant plugins to establish your business. Forget about complex codings and customize the site to any level if WordPress is with you. But unfortunately, this Content Management System (CMS) is the main target of the cybercriminals. They initiate continuous attempts to hack WordPress websites through brute-force attacks, malicious code injections, and others. So you should not compromise on the level of WordPress security. Learn Top 10 Best WordPress Security Plugins in 2019- Pros and Cons. Follow essential security tips and install security plugins to protect your website from being hacked. In this post, we list the 9 best WordPress security plugins probably you are not aware of. WPS Hide Login is one of the simple WordPress security plugins and lets you change your login page UR easily. Unlike other similar plugins, it neither rename your core files nor creates rewrite rules. It simply makes your wp-login.php page inaccessible. So you should memorize or bookmark the new login URL. Deactivating the plugin bring back the page to the normal state. Login LockDown is a fantastic plugin to limit login attempts in WordPress. If failed login attempts from an IP address or range exceeds the number, it will deny login requests of the range thereafter. 1 hour is the default lock time but you can increase the time through plugin settings. It is the most comprehensive security solution to monitor user activities in WordPress. It keeps a log of everything that happens on your website and lets you quickly identify the security issues. The plugin alerts you on user registration, login, change of roles and passwords of another user, file upload, plugin installation, post creation, modification, failed login attempts and many others. Google encourages website owners to add a trusted SSL certificate for improved web security and traffic. HTTPS protocol ensures secure browsing experience for the users and no one can collect their data from the connected website. WP force SSL plugin redirects your HTTP traffic to HTTPS without touching any code. So you will not lose traffic and will get more too. SiteGuard WP is a brilliant tool to fight against brute force attacks and common vulnerabilities in WordPress. It can be used to filter admin page IP address, rename login, login lock, login alerts, add CAPTCHA fields, disable pingbacks and others. Ninja Firewall is one of the best firewall plugins for WordPress. It is able to protect targetted attacks coming from several thousands of different IPs in tandem. It will scan your core files very frequently, detects changes and alerts you about this. The plugin automatically updates its security rules daily or even hourly and scan for malware, vulnerabilities etc. Real-time monitoring of website traffic and user activities are other advantages of Ninja Firewall. It will keep track of administrator logins, WordPress updates, theme uploads, plugin uploads, activation and so on. IP Geo Block is an efficient tool to guard your site against vulnerabilities and various kinds of login attacks. It blocks invalid login attempts, malicious uploads, comment spams, trackbacks, pingbacks etc. The plugin analyzes the latest security threats and lets you block the login access from undesired countries and IP addresses. Brute Force Login Protection is one of the best WordPress security plugins that protects your website against hacking attempts. Set allowed login attempts for a user and if anyone exceeds the limit, the plugin will automatically the system using .htaccess. It also empowers you to manually block, unblock or whitelist IP addresses and show a custom message to the blocked users. The list of WordPress security plugins won’t complete without mentioning WP Hide & Security Enhancer. It is the easiest way to completely hide your WordPress core files, theme and plugin paths, admin and upload URLs & many others. The plugin also blocks access to the default files in the WordPress database and lets you change the file names easily.